Glock MOS Expands to G17 and G19! You are here: Home / Firearms / Glock MOS Expands to G17 and G19! Last year Glock announced the introduction of their Modular Optic System (MOS) pistols. At the time, the only Glock pistols included in this very nice configuration were the long slide models – 34, 35, 40, and 41. 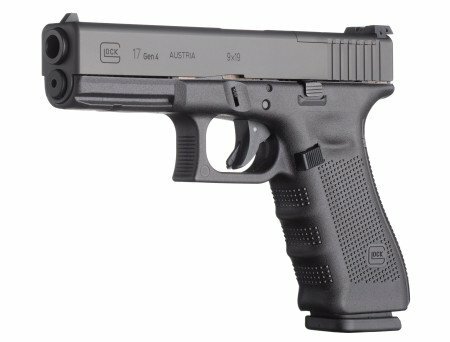 At this year’s SHOT Show Glock is expanding the MOS line with the Glock 17 and Glock 19 MOS options. 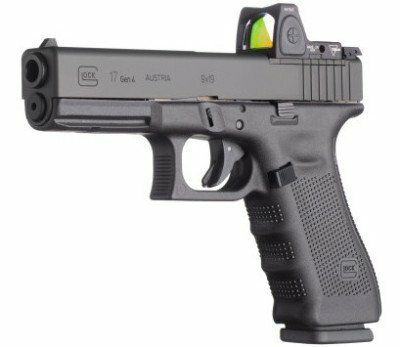 This is a game changer for Glock as they introduce vastly more popular models into the reflex sight pistol shooting world. The Glock 17 Gen 4 MOS with Trijicon optic. The initial Glock MOS pistols were the long-barreled versions, and clearly targeted to the competition shooters who have jumped all over reflex pistol sights. Those shooters quickly realized the time savings and accuracy benefits of a sight that simply requires placing a dot on the point of impact without requiring a complicated alignment of small objects in high-stress or timed events. What Glock did not do last year was make the MOS available in the most common models the company has produced. Though true that competition shooters are very eager for reflex sights, more and more every-day shooters are recognizing their benefits and choosing pistols accordingly. If anything, accessory companies have slowed the process as there are limited holsters to properly carry these pistols for every day use. As previously reported (click here), the Glock MOS system actually involves an entirely new handgun. This is not an add-on feature to existing Glock pistols you may own. Instead, Glock engineers found they could machine out a section of the slide while maintaining structural integrity. This area allows the insert of specially designed base plates to fit the most popular pistol reflex sights on the market. If the shooter decides to remove a reflex sight, there is a “0” plate that fills the gap bringing the slide back to standard dimensions. The Glock 17 Gen 4 MOS without mounted reflex sight. Note the cut-out on the slide in front of the rear sight. The Glock 17 is the most prolific Glock handgun in the world. Chambered in the very popular 9mm cartridge, the Glock 17 is where it all began – and where many striker-fired, polymer pistol fans have never left! Adding the MOS series to the Glock 17 Gen 4 is a very wise move, and Glock went the extra step to include the Glock 19, compact version of the Glock 17, in this product release as well. Each Glock MOS is made to the same specifications as their original model, and simply add the machined out slide and tailored base plates for proper sizing on the various available reflex sights. The Glock 19 Gen 4 MOS is a very nice size for those desiring a slightly smaller handgun. Both new additions are only available in the latest Gen 4 configuration, but that makes perfect sense as well. The Gen 4 Glocks include beefed up recoil springs and adjustable grip configurations, making the pistols much more tailored to individual shooter preferences. 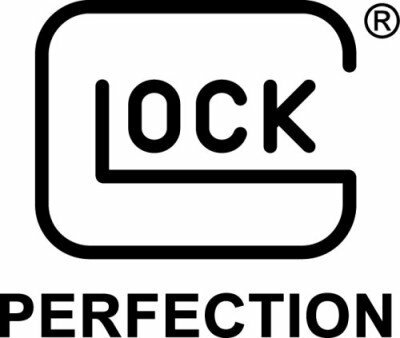 Whether you prefer a full-size pistol or a nice mid-size version, Glock is now offering very competitive models to fit your needs. The Glock 19 Gen 4 MOS without reflex sight. Note cut-out on slide in front of rear sight. 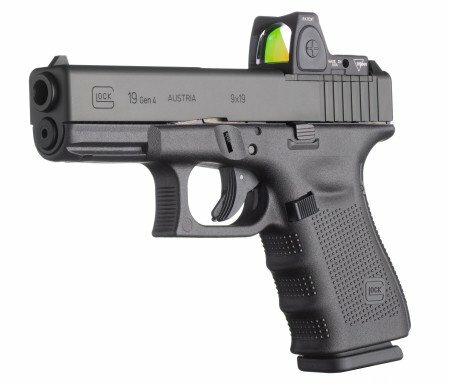 It has been noted here, and at other publications, that the standard Glock sights do not co-witness with the addition of a reflex sight. This is true. This fact should not be taken lightly, and must be considered by all who would consider a reflex sight on a pistol. However, I have found most competitors face the same dilemma. The solution is to change the original “iron” sights to a taller version, sometimes labelled as “suppressor sights” due to the need to see over a can. Some competitors offer these extended sights as an option. Glock does not. So to accomplish this desire a shooter would have to go to Glockmeister, Lone Wolf Distributors, or other after-market Glock supplier to get the taller iron sights desired. Whether this would “void” any Glock warranties has yet to be tested, but I would doubt that considering many Glock owners upgrade standard Glock white sights to various night sight options. There may be others in the Concealed Carry crowd who might complain that Glock did not go far enough and offer the MOS version on sub-compact pistols, or even the new single-stack Glock 42 (.380) or Glock 43 (9mm). I would counter with the fact that most small, concealed carry pistols are designed for extremely close quarters engagements where point and shoot tactics are more likely. Current reflex sights are made for larger frames, and would only add unnecessary bulk to pistols intended to be hidden easily. Though Glock has been slow of late in moving on market trends, this move will very likely see a great deal of business for the company. The addition of red dot, or reflex sights on pistols has been one of the hottest trends in pistol shooting that really hasn’t had the press it deserves. The firearms industry tends to be very traditional, and is usually somewhat slow on moving on “new” trends. This cautiousness is not without merit, as it anchors the industry in proven technologies instead of grandiose ideas, and helps prevent wise companies from venturing too far off the path without due cause. However, the introduction of pistol-mounted red dot (reflex) sights has been around for several years now. We are finally starting to see the traction that this impressive technology deserves. Traditional iron sights, even night sights, all suffer from small size and the mechanics of aligning objects in high stress environments. Red dot sights have been proven to be faster and just as (arguably better) accurate as traditional “iron” sights on pistols. It should not be hard to understand. Align three small components, or place a lit red dot on the target? There is a reason they’re referred to as “reflex” sights – its natural. I carry a Glock 22 on-duty, and a Glock 23 off-duty. I have used Glocks for 16 years and have grown to love them. That is my bias. 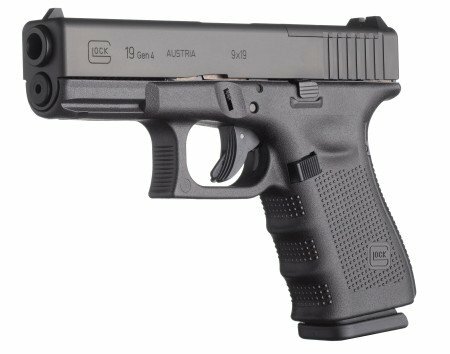 However, I applaud Glock and any other pistol company in offering models that incorporate reflex sights. I really believe that those versions will become as popular as the “standard” versions in just a few more years.